Down. Set. Hut-hut! The 52st installment of the biggest game in professional football is almost here. Sunday, February 3, 2019, the top teams will faceoff. Whether you're hosting a Super Bowl soiree or going to a friend's, we've got some great ideas for winning food and local wine match ups. Guacamole is a festive favorite that pairs perfectly with a crisp, fruity Rosé wine. Hummus is a delicious way to indulge and still keep those New Year's resolutions. Match it with Traminette or Chambourcin. 7 Layer Dip is a classic dish for the big game day celebration and goes well with Norton or Concord. Buffalo Chicken Dip brings so many delicious flavors together and is perfectly complemented by a semi-sweet Vignoles. Chicken wings are always a hit, and when it comes to pairing wings and wine, it's all about the sauce. Make it a burger bash! Set up a burger bar to please everyone! Most burgers pair well with Chambourcin wines, but you can also find your match based on the combination of cheese, extras and condiments. 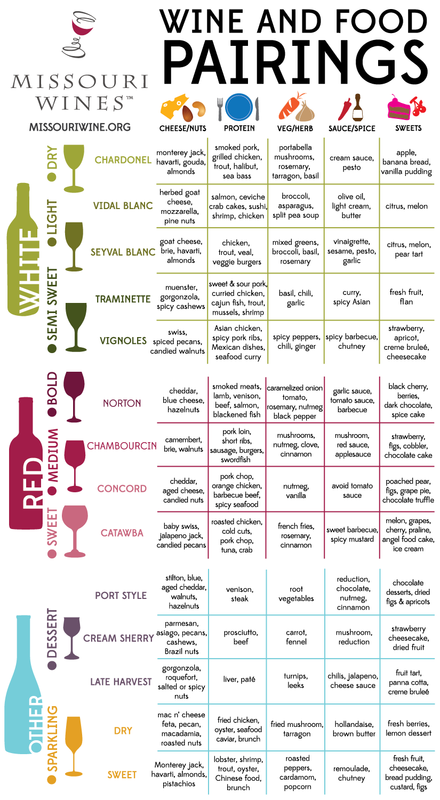 Check out this food and wine guide for tips. Start with a great selection of buns and rolls. A classic white and wheat are great, but consider spicing things up a little with sesame, onion or ciabatta rolls. Offer a couple of patty options, such as classic beef, turkey patties and veggie burgers. Put out a few different kinds of cheese. There are so many delicious kinds out there... blue, cheddar, swiss, pepper jack... the list goes on. The "extras" are where you get have the real fun. Some classic options: lettuce, tomato, bacon, sautéed mushrooms, caramelized or fried onions... Out of the box options: coleslaw, avocado, jalapenos, tomato jam, or anything else that happens to sounds good to you at the time. Enjoy a delicious burger made just how you like it. However you decide to enjoy the big game day, don't forget the Missouri wine!